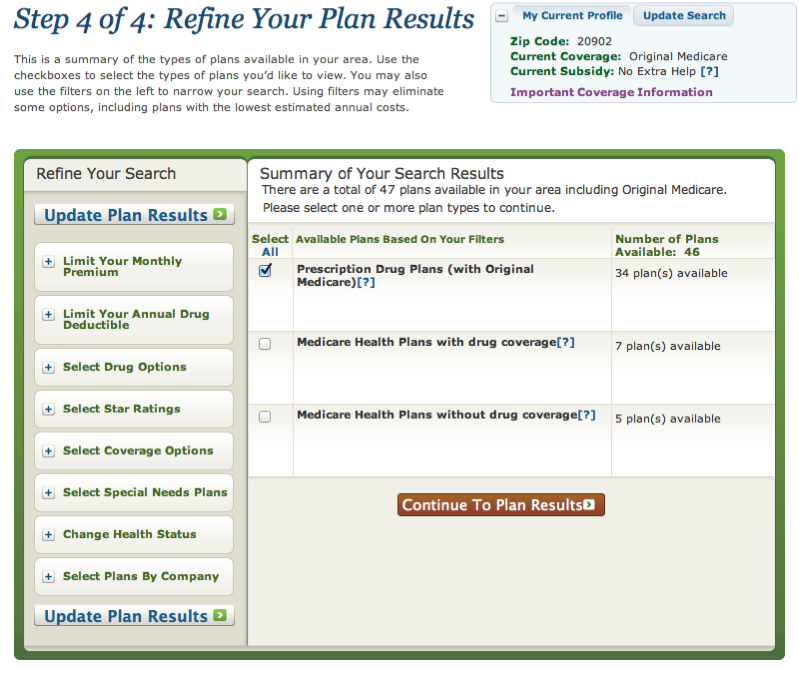 Download "Go to http://medicare.gov/ to access the Plan Finder HOW TO USE THE MEDICARE.GOV PART D PRESCRIPTION DRUG PLAN FINDER"
5 Step 4 of 4 on the Plan Finder: Refine and Analyze Your Results Click on Prescription Drug Plans with (Original Medicare) and continue to Plan results Review the Prescription Drug Plans generated by the Plan Finder. Drug plans are listed from least to highest total annual cost. Information shown will include : o monthly premiums, deductibles o copays and coinsurance o drug formularies and restrictions (such as quantity limits, prior authorization and step therapy), o quality (star) rating by company * The Sort by option allows users to sort results in different ways, e.g. showing plans with mail order, with some coverage in the gap, or with drug restrictions Note: The plan with the lowest premium may not be your best option or lowest annual cost alternative. 6 Before exiting the program: 1. Record your Drug List ID and password date. You can then log in to review your options or make changes to your drug list at a later date. 2. Identify and/or print out information on the plans of greatest interest by clicking on the name of the plan in the Plan Results list. 3. Review plan restrictions (e.g., step therapy, prior approval, quantity limits) that apply to your drugs. 4. When you are ready, click on Enroll. Either follow the prompts, or call the company or Medicare to begin the enrollment process. 7 SHIP Can Help You Choose a Drug Plan If you have already entered your drug list into the Plan Finder and would like SHIP to review the results prior to enrolling into a plan, send your Drug List ID, password date, and zip code to the SHIP address listed below. 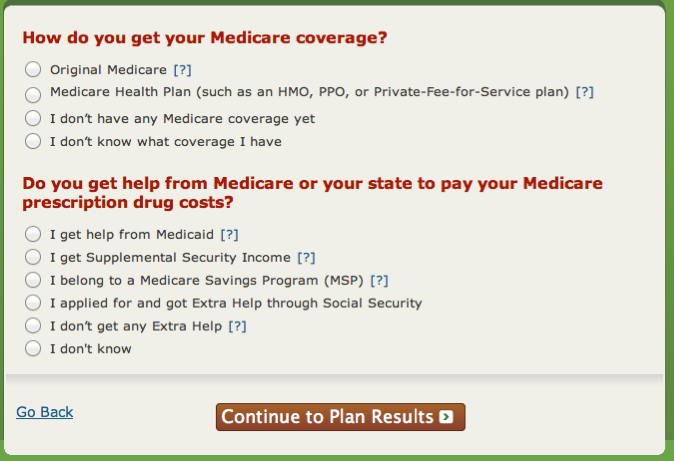 If you prefer the SHIP program can run the Plan Finder on your behalf, and make a drug plan recommendation. 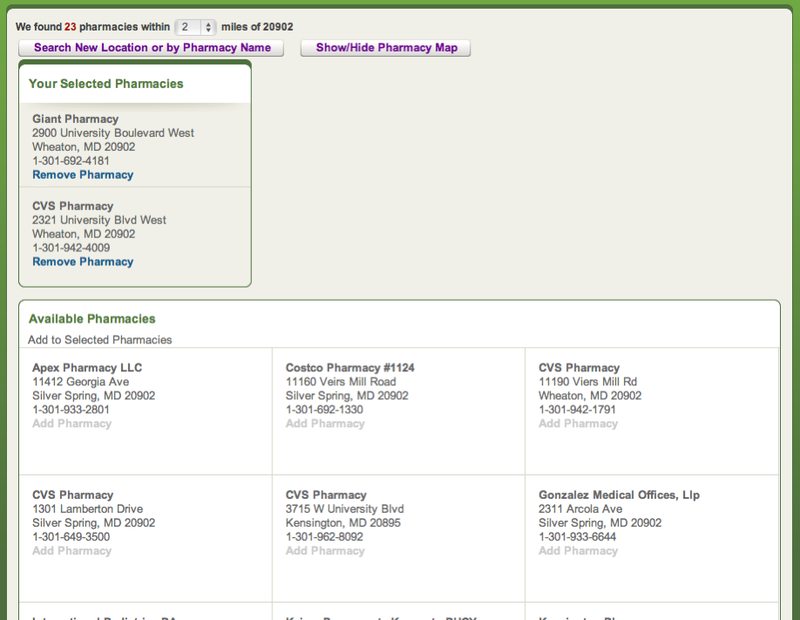 To request this analysis, complete SHIP s Medicare Part D Plan Comparison Questionnaire and mail it to: SHIP State Health Insurance Assistance Program Muncaster Road, Derwood, MD The SHIP analysis is based on use of retail pharmacies, not mail order, because some of the plans don t offer a mail order option. You can check with the Prescription Drug Plan and see if your drugs are available at a lower cost by mail order. Drug Restrictions Definitions Quantity Limits Plan may limit the amount of drugs they will pay for in a specified time period. Prior Authorization Approval by the prescription drug plan before prescription drug cost is paid by the plan. Your doctor must contact the plan and show it is medically necessary for you to use this particular drug. Step Therapy Plan may require you to first try another drug before they will pay for the drug prescribed by your doctor. Updated 9/20/14 Aging and Disability Services University of Maryland Extension programs are open to all citizens without regard to race, color, gender, disability, religion, age, sexual orientation, marital or parental status, or national origin. Medicare Supplemental Advisors Your source for medicare insurance How to Navigate the Medicare Web Site to Find Your Medicare Part D Prescription Drug Plan At the Lowest Annual Cost Prepared By: Mark G.
Welcome to our unofficial www.medicare.gov plan search guide! This guide is designed to help you through the steps while searching for a Medicare Part D prescription plan on the www.medicare.gov website.